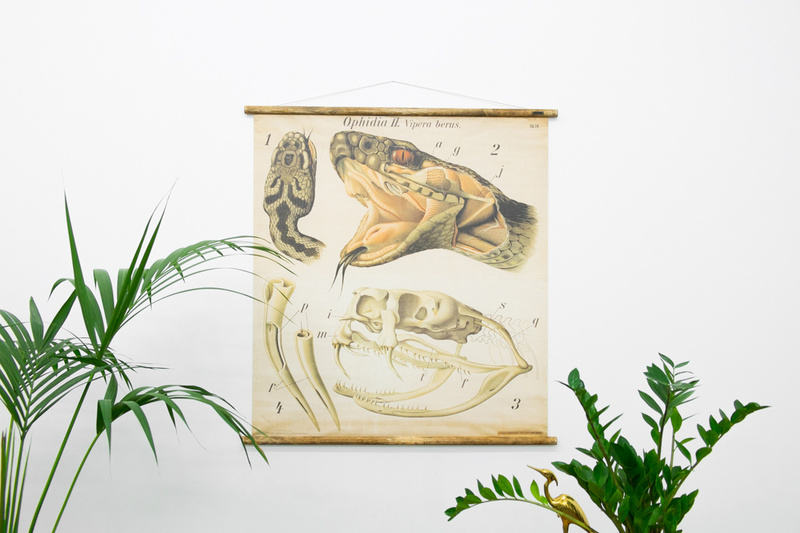 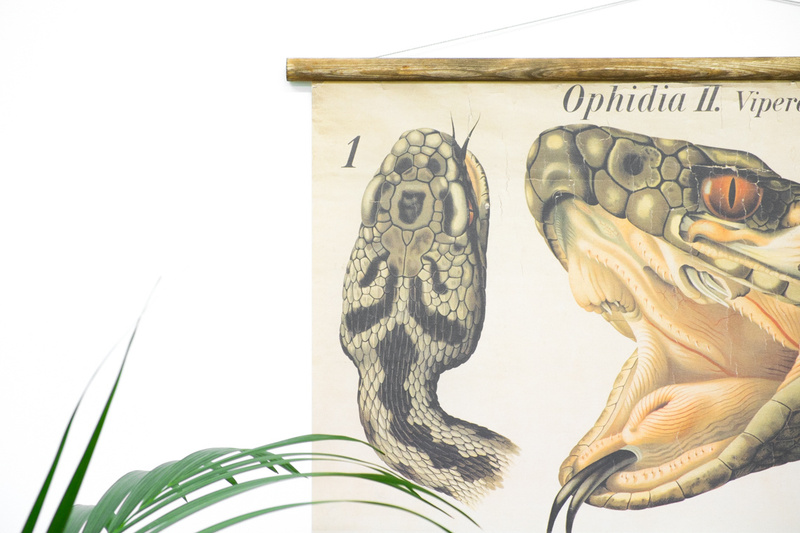 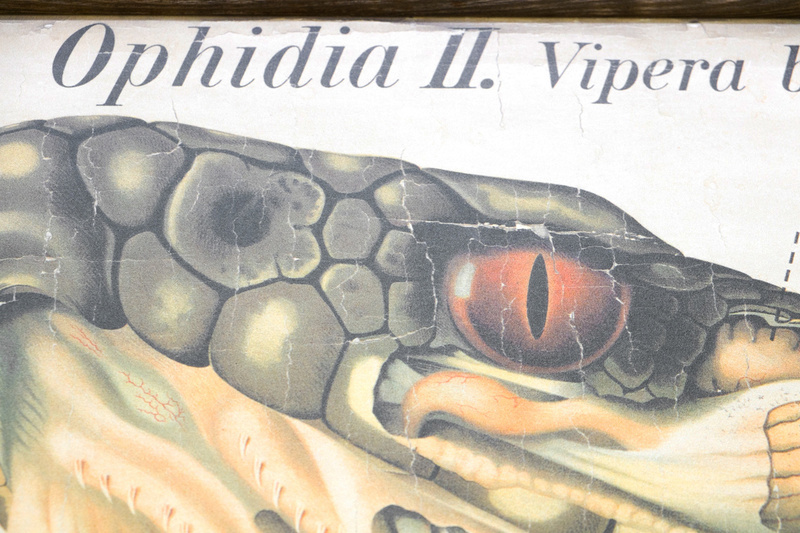 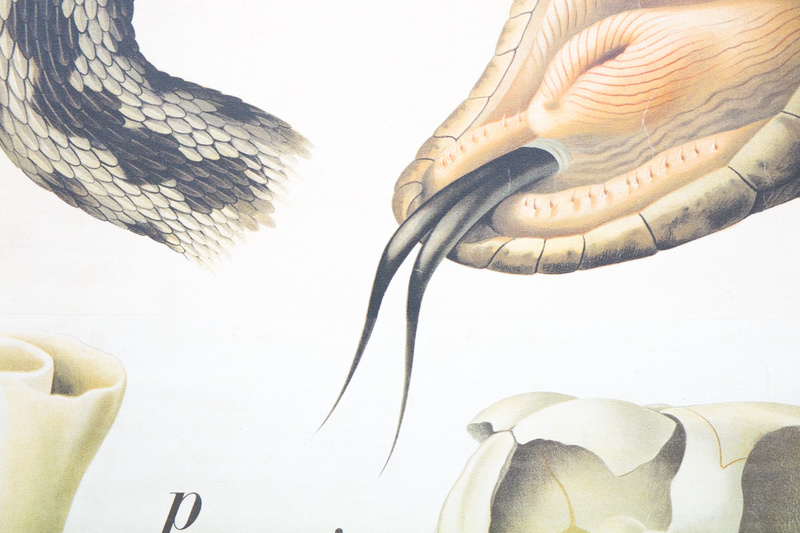 This is a reproduction of an original illustration by Paul Pfurtscheller, titled "Ophidia II Vipera berus" (common European adder) and produced as part of a series of 'Zoologischen Wandtafeln' (Zoological Wall Charts) from 1902 onwards. 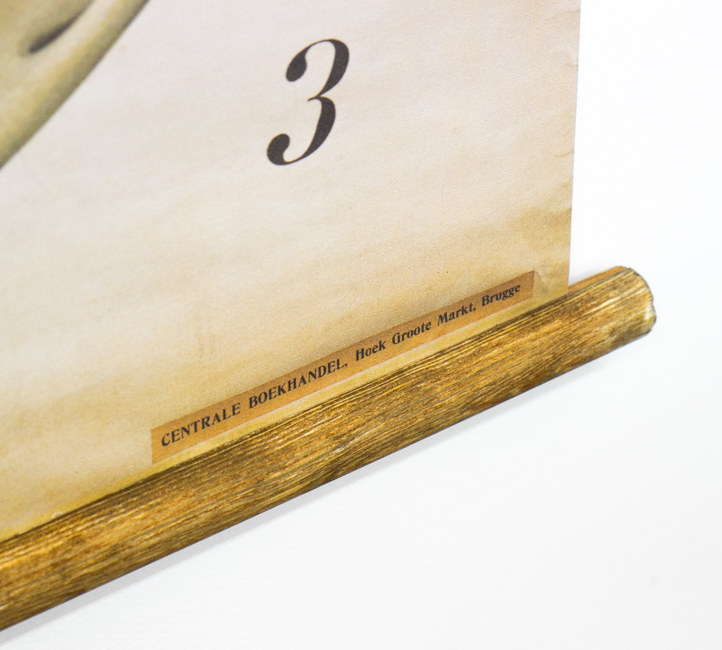 The charts were originally published by 'A. 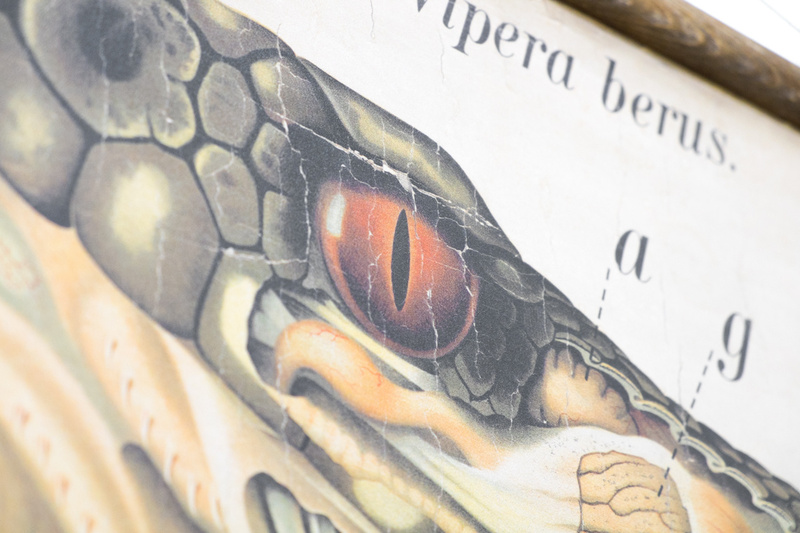 Pichler's Witwe & Sohn und Buchhandlung Lehrmittelanstalt', a publisher specialising in educational literature and teaching aids in Vienna and Leipzig. 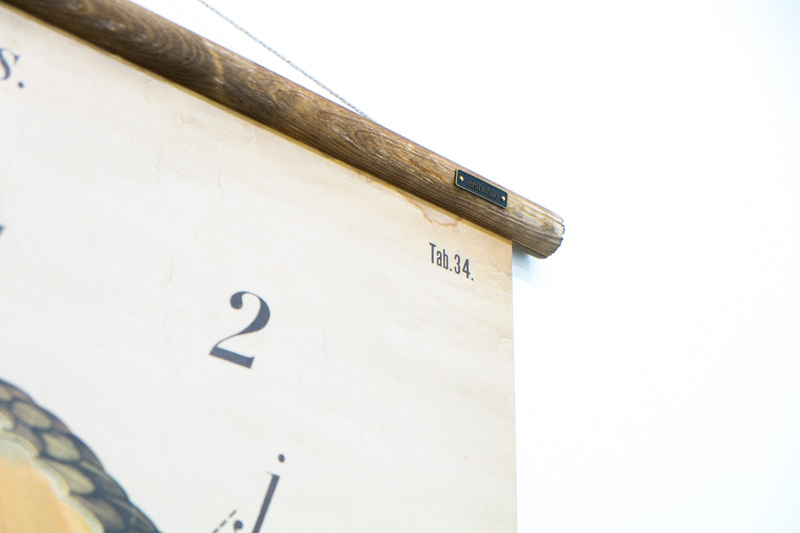 This piece has been perfectly preserved with over 100 years of wear-and-tear captured to add to it’s character. 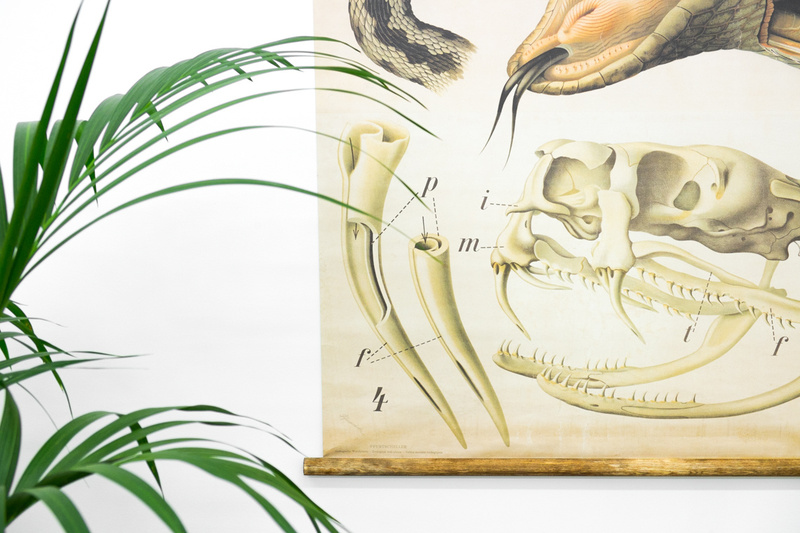 The artwork has been printed onto Airtex canvas, with its brilliant colors and accurate detail carefully restored. 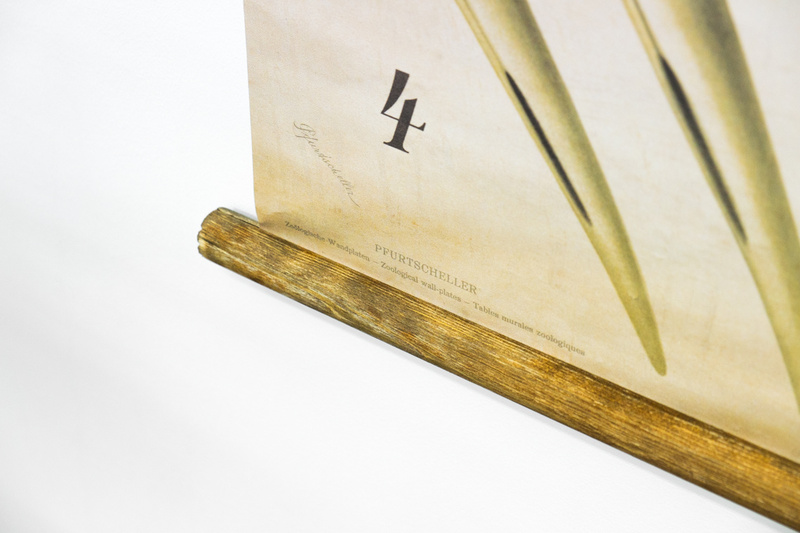 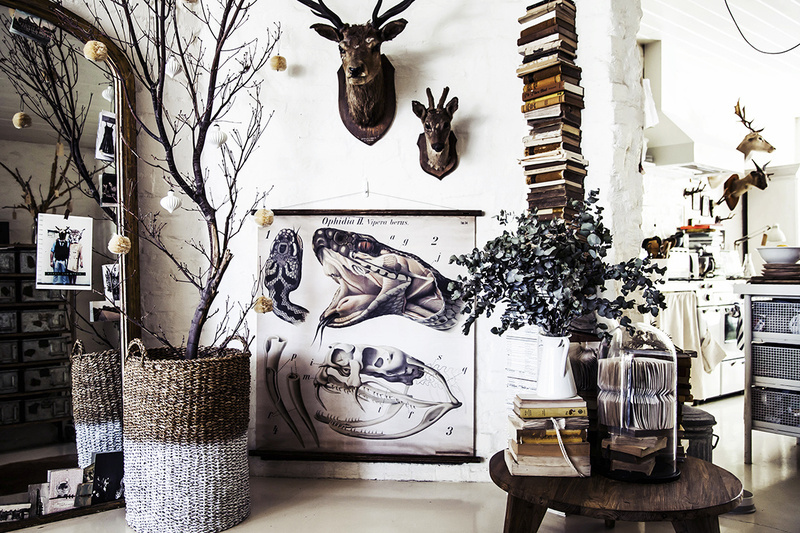 Hand-mounted with aged timber batons and 100% cotton rope, each piece is supplied ready to hang.